Introduction to the structure and function of the nose, and how it works in tandem with the brain. How do we tell the difference between good and bad smells, and has this ability helped humans to survive? 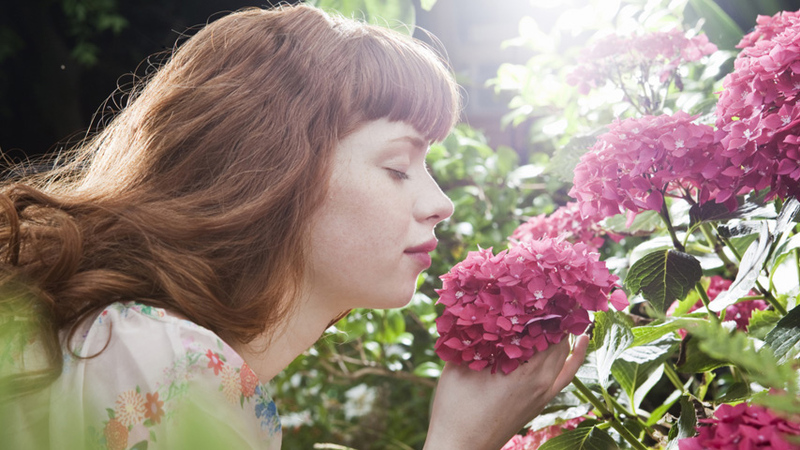 All smells are simply molecules floating in the air around us. At the back of the nasal cavity are specialised receptor cells known as olfactory cells. The olfactory nerve is connected to two different parts of the brain. The frontal lobe identifies a smell, while the limbic system connects smells to particular memories. Our sense of smell is powerful. It can trigger intense memories and can make us physically sick. It helps us detect different flavours. And even influences who we find attractive. "I am going to call her up and ask for dates"
So how does our sense of smell work?